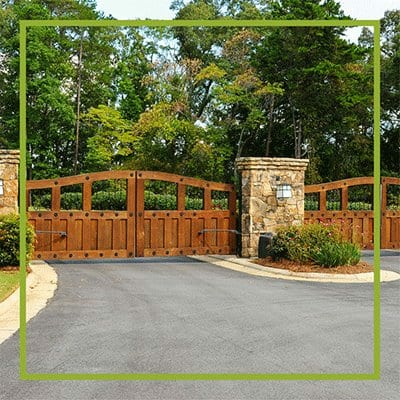 Gated communities offer homeowners security as well as the prestige of limited access. Gated neighborhoods in North Texas range from small enclaves of garden homes to huge developments of mid-priced homes and luxury estates. Most of the gated communities have strict standards of architecture and maintenance that help retain the value of everyone’s real estate investment in the neighborhood. Home Owner Associations (HOAs) typically maintain the perimeter security with electric gates or manned security gates. Within the gates of many of these communities are amenities like clubhouses, tennis courts, community pools and even golf courses.